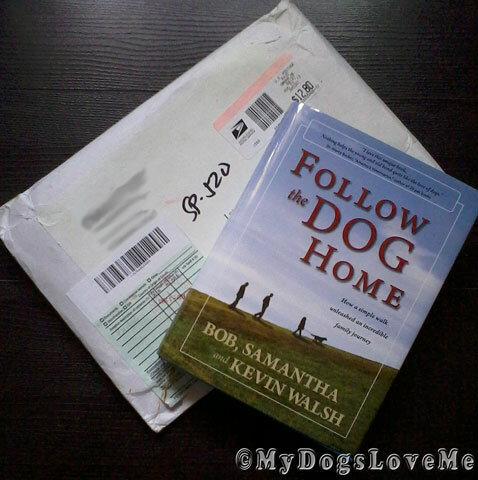 This Monday, I had talked about the lovely book written by Bob, Samantha and Kevin Walsh titled Follow the Dog Home. We won our copy from DogznPaws. Thanks again, Lisa. Last month, I was emailed as to whether I would be interested to sponsor a book giveaway to you guys... And of course, I said yes in a heartbeat! 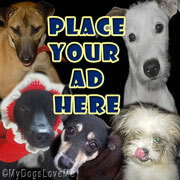 My bloggyville friends have given so much to me that I've always wanted to do something in return. So with no further ado, let me present to you the opportunity to own this wonderful heart-warming dog book. This contest will end next Sunday 12:01 AM EST. Note: Although it breaks my heart to limit the coverage of this giveaway, the rules require the winner to be residing within continental US or Canada. Edit: I extended to contest because I will be going on a business trip tomorrow until Saturday afternoon. Good luck, guys! Looks like a fun read. Have a fabulous Friday. Hey it's Jet here. Hi Miss Haopee. Hurray for give-aways! Have a lovely weekend. What a lovely giveaway! Good luck to everyone entering it! Oh I live in a home where there is always an open book and I myself am involved in a reading program for little tykes. They love it when I put on my Harry Potter glasses. Thanks for stopping by my blog. Would like to start a doggie book collection. This would be my first. We're still puzzling over Austin's comment - what's a hexkludid? Turn about's fair play, since we stumped you on our blog today! MOL!! Hope you get lots of entries! It is such a good book! That sure looks like a great book! PS - no idea why some of my words turned into a link? Sorry…. Hi...We're In!!!! Looks like a very good book and we haven't read one in quite a while. We could just leave the comment because we don't Facebook, Twitter, or Tweet, or the other one! We entered to win the book too! Our mom loves to read, and even though she doesn't have a dog now, she has owned a few in the past. Her last one was an Irish Setter/ Lab mix and the one before was a Golden. Her first was a poodle (the smartest animal she's ever had!). One of Mom's friends has already shared the book with her, so we won't put our name in to let someone else have a chance. Nice contest. Looks like a fabby book!! !